Dads BOWL FREE at Trindle Bowl; gift certificates too! You are here: Home / Dads BOWL FREE at Trindle Bowl; gift certificates too! 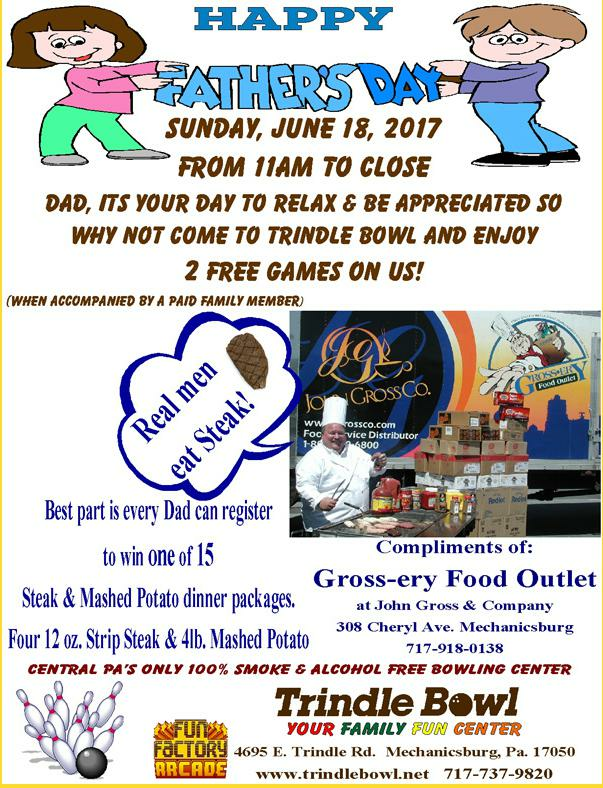 More About Dads BOWL FREE at Trindle Bowl; gift certificates too! All day! Happy Father's Day! We are central PA's only bowling center that is smoke-free and alcohol-free.